For the Record is a new motor sports documentary which is currently in post production. Shot in 2015, this film captures the reunion of the world’s most successful air racing team at a remote air strip in New Mexico. Team Nemesis is on a mission to discover just how fast their machine will go in a series of straight-line, all-out speed record attempts. This film adds to the story presented in the feature documentary Air Racer: Chasing the Dream with a historically significant and exhilarating new chapter. 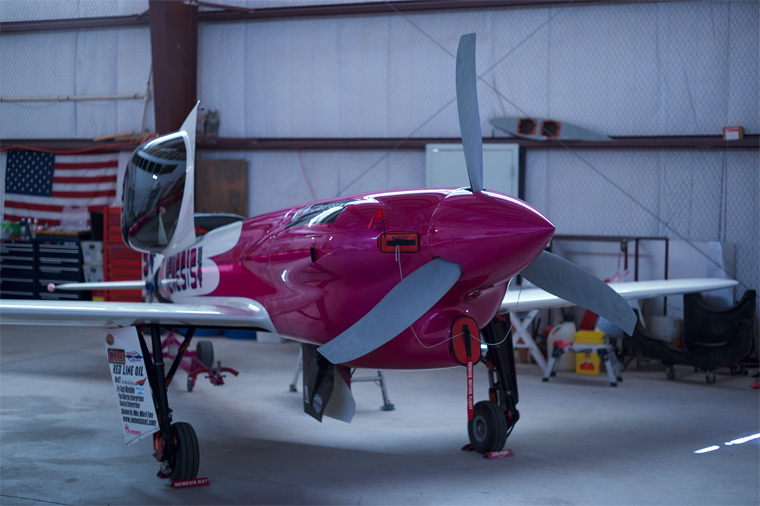 This HD production follows Team Nemesis as they learn that their winning aircraft is selected to become part of the Smithsonian Air and Space Museum’s permanent collection, as well as in an exhibition of ultimate speed machines. But before this happens, Team Nemesis will take on an ambitious goal: they will awaken the Nemesis NXT after two years of rest, bring pilot and inventor Jon Sharp out of retirement, and go after six world speed records. These straight line speed record attempts allow the plane to reach its full potential, as opposed to racing at Reno, where the oval course bleeds off speed. The design of the Nemesis NXT is so advanced that even its creators don’t truly know what it is capable of. Our documentary team traveled to a remote airstrip at Moriarty, New Mexico for exclusive coverage of the record-attempt flights, with full access to the team. For the Record tells the story of one of the world’s most successful motor sports teams reuniting to push the limits of both man and machine. Jon Sharp is an air racing legend, pilot, and one of the foremost composite aircraft materials experts in the world. 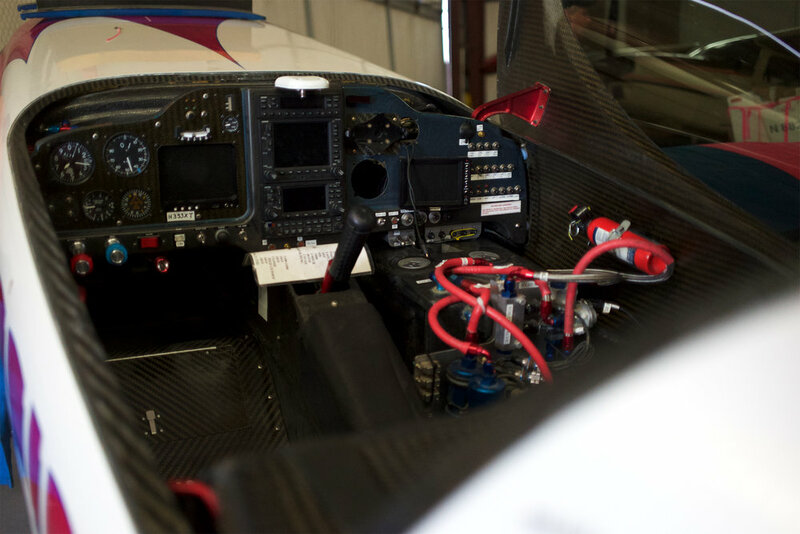 His wife Patricia is a pilot and aircraft builder herself, and manages their team, Nemesis Air Racing. Working together, they built the NXT prototype over a four-year period. As Jon designed the airplane’s parts and developed the construction process, Patricia became a highly skilled fabricator and constructed most of the plane's handmade components herself. "Chase the dream, not the competition." Producer, director, and award-winning cinematographer Christopher Webb has worked on a wide variety of projects, from shooting air races in the desert, to commercial projects for Coke, BMW, Nike, and Showtime at his studio in Brooklyn, NY. He grew up spending summers with his grandfather, a restorer of vintage aircraft and motorcycles. His work on Air Racer and For the Record has united his twin passions for cinematography and aviation. He collaborates once again with producer Graceann Dorse and editor Jessica Schoen of Air Racer: Chasing the Dream to bring this new story to aviation and motor sports enthusiasts alike.